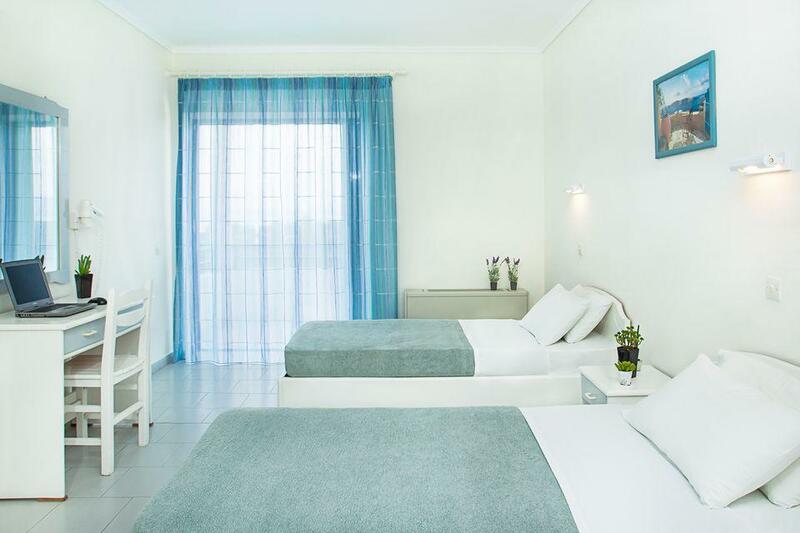 There are 86 comfortable rooms in Xenios Port Marina, which are waiting to accommodate your dreams while on holiday. Rooms feature a TV with satellite channels, air conditioner, a telephone, a shower, a hair dryer, a furnished balcony, bath amenities, a mosquito net. There are 2 rooms which can be used for handicapped people in our hotel. Welcome in Xenios Port Marina Hotel! Enjoy your private stay in Twin Room with Sea or Pool View. Superior rooms are the best for a comfortable stay with the possibility to accommodate up to 4 people, bookable with Garden View (mostly ground floor level) or with Sea View (mostly on a higher level) Rooms feature all the amenities for the guests. 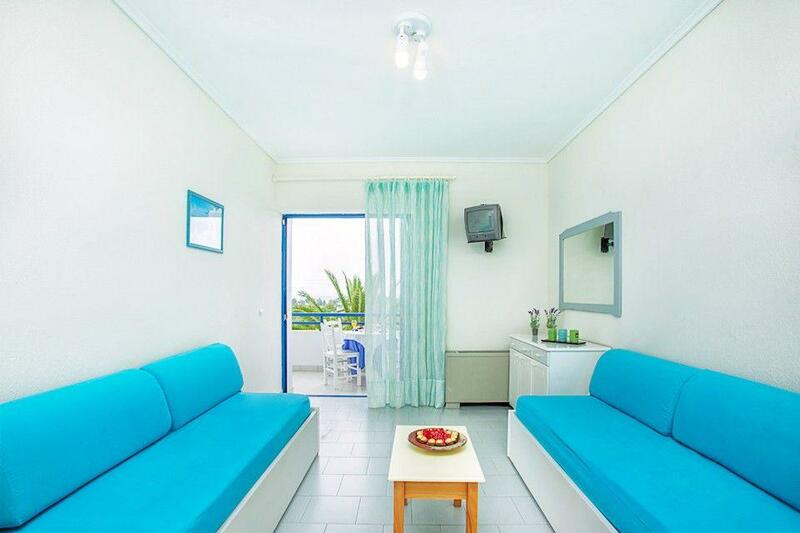 Spacious, bright rooms for families are perfect to accommodate up to 4 people. 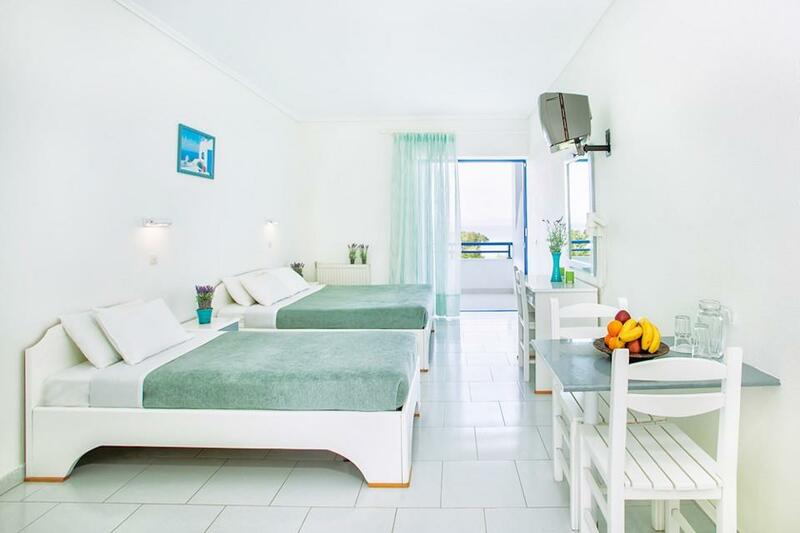 The room has two rooms with a double bed and two single beds. Family rooms are spacious and feature all the facilities.